Boby is a trolley storage unit which has made its mark on history, mainly due to its outstanding versatility. Designed to guarantee simple vertically modular solutions and provide high, customised storage capacity. 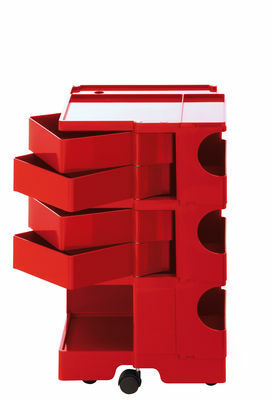 The structure and drawers are made from injection-moulded ABS plastic, while the casters are made of polypropylene.